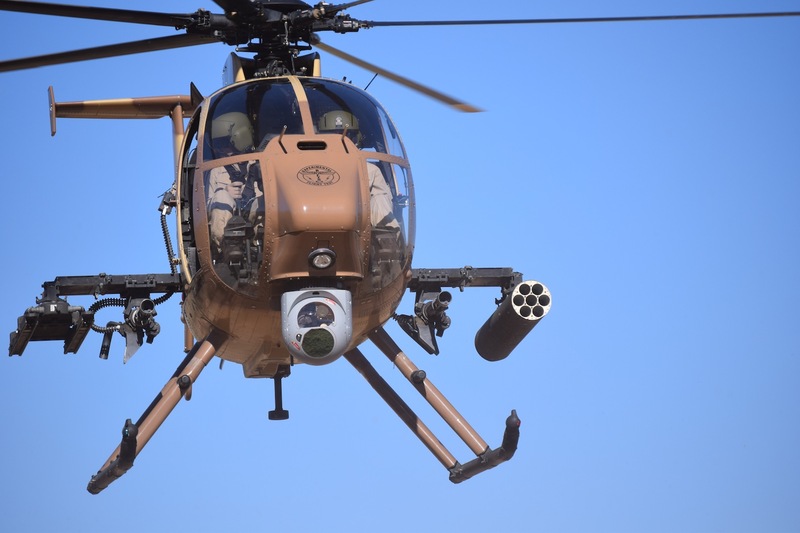 The U.S. Army awarded Boeing a $234 million foreign military sales contract to supply 24 AH-6i light attack/reconnaissance helicopters to Saudi Arabia, affirming a long pending order. The Department of Defense announced the contract award on August 29; the estimated contract completion date is Dec. 31, 2016. The AH-6i was contained in a huge arms deal the U.S. and Saudi Arabian governments negotiated in 2010 that included Boeing F-15 fighters and AH-64D/E Apache attack helicopters, Sikorsky UH-60M Black Hawk utility helicopters and MD Helicopters MD530F light helicopters. In early 2012, Boeing said that it expected the Saudi government to sign a letter of offer and acceptance for the AH-6is to equip the Saudi Arabia National Guard (SANG). A U.S. Army Contracting Command solicitation for maintenance support in March last year stated that the SANG helicopter fleet would consist of 12 AH-64Es, 24 AH-6is and 24 UH-60Ms, stationed at Khashm Al An Airfield, Saudi Arabia. On May 1 this year, Boeing said that it had recently flown the AH-6i in production configuration, moving the program “closer to full-scale production.” It did not specify customers for the production helicopter.